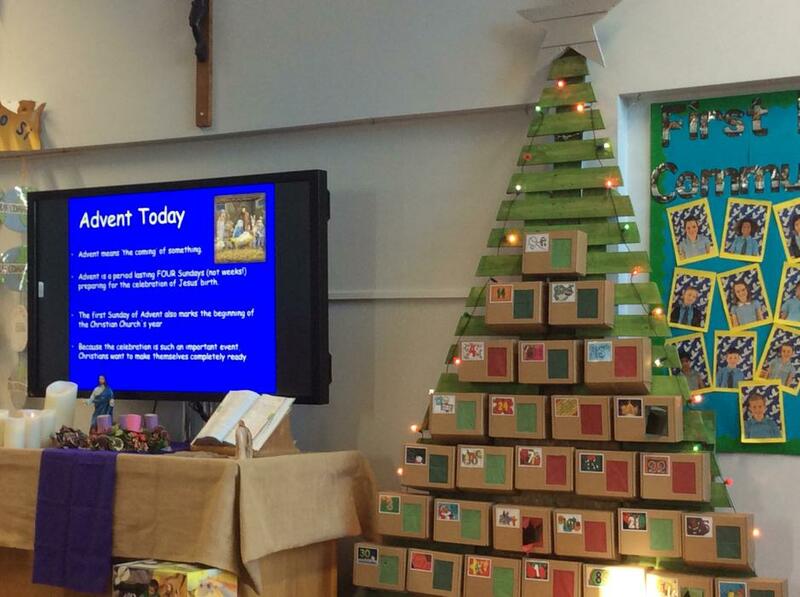 There have been so many activities going on this term. Please have a look at the gallery tab and the VSP to find out more! 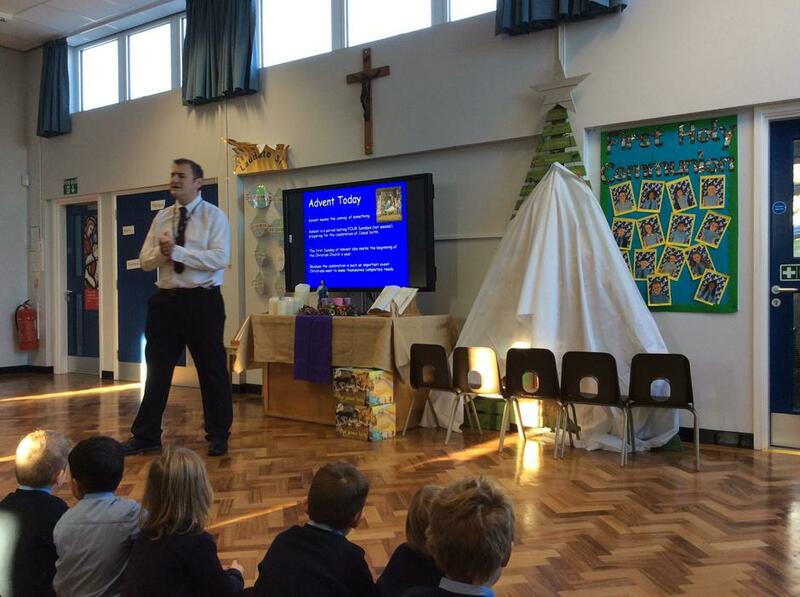 15th January - Class 6 Key Stage Collective Worship - I try to follow school and classroom rules. 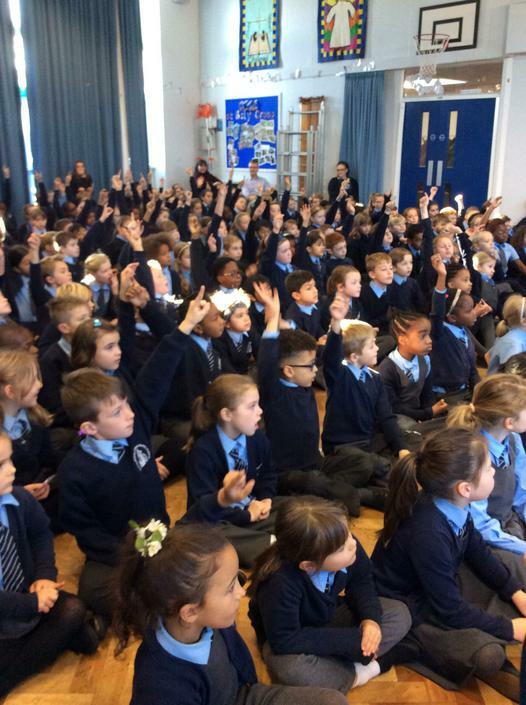 29th January - Class `Reception Key Stage Collective Worship- 9 am, I Know We Are Happiest When We Are United. 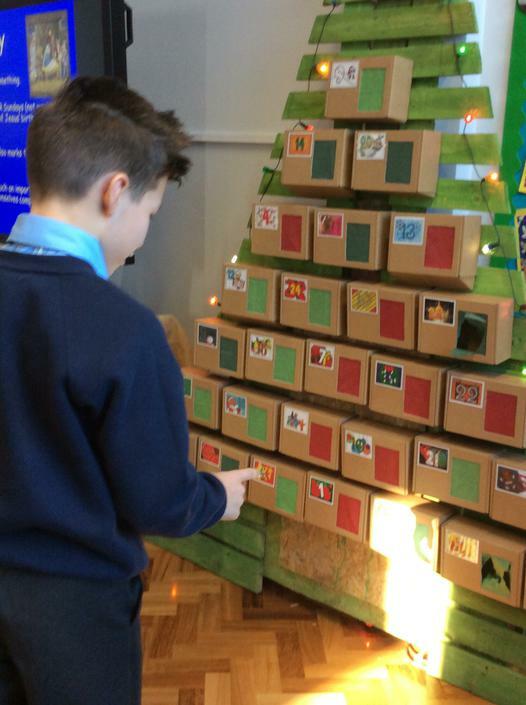 Thursday 6th 10 am at St Mary’s Church - our choir is singing for the Christmas Tree Festival. Friday 14th - Adoration of the Blessed Sacrament - lead by the Chapliancy Group. Friday 21st - Carols by Candlelight - 10:15 Holy Cross church. Red Wednesday. Standing together with those who cannot practise their Christian faith. We have so many events during November to be involved in! Friday 9th 14:30 - Remembrance Assembly - See what we have been doing in our retreat afternoons - maybe even sing a few WW1 songs with us! 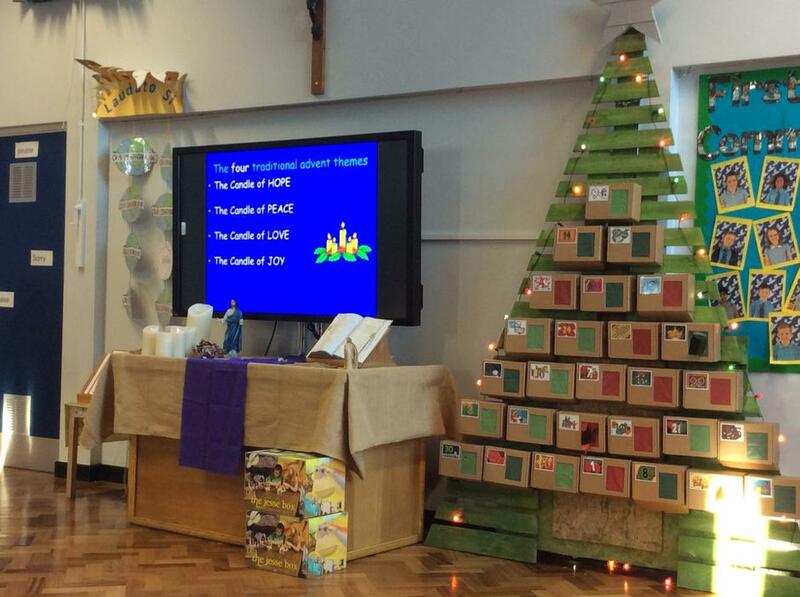 Friday 17th - Class One will be leading us in our Mass at 2:30 - come and join us! Monday 19th November, we will be holding our Anti- Bullying Assembly showcasing all the work we have completed during the previous week - Come And See how we Value each other in our school. Friday 23rd YOUTH FUN DAY - ENCOUNTER CHRIST WITH FUN AND LAUGHTER. 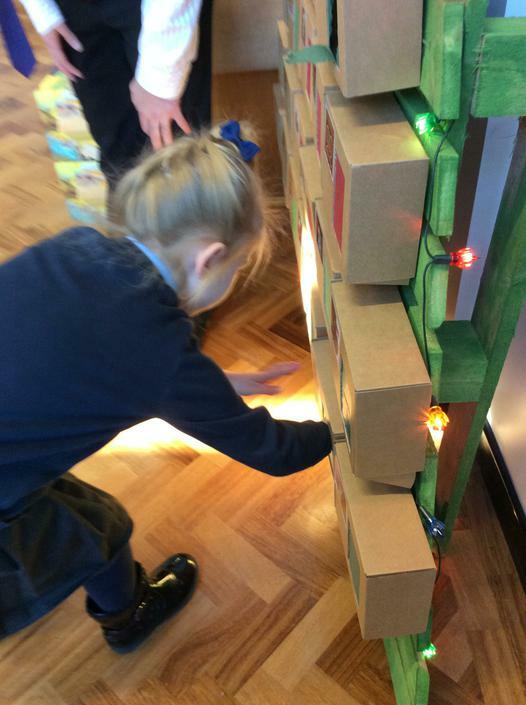 Come and see what fun we have had at 2:30! Wednesday 28th - RED Wednesday. We are wearing red to stand in solidarity with all those who haven't the freedom to practise their faith - will you join us and wear red on that day too? 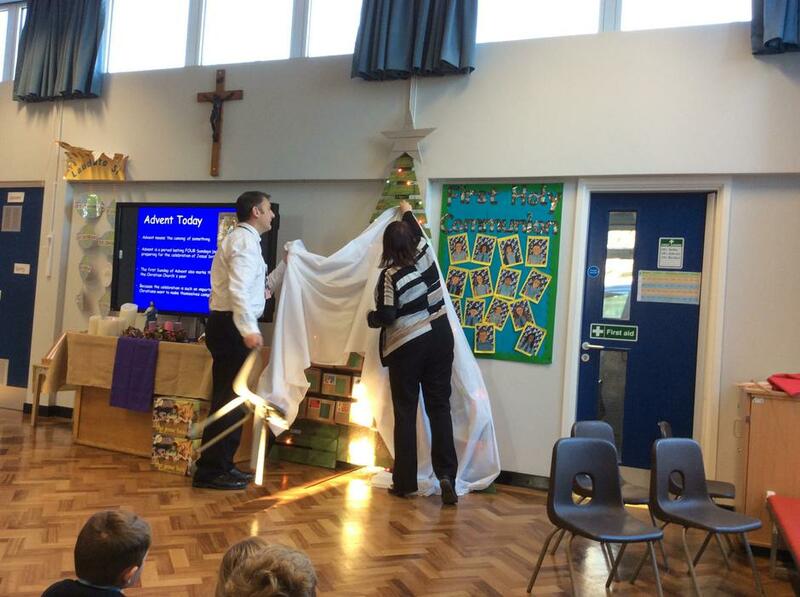 25th November - the Chaplaincy Team will be holding their first Parish Takeover. Come along to the 9:30 Mass at church and hear what we get up to. On Thursday 25th October, we will be helping the Parish raise funds for their Autumn Fayre. We are inviting you to bring in an old toy and buy an new one for £1! 30 pupils will be representing our school at the launch Mass for our new CMAT on Tuesday 16Th October. We had a fantastic fun Harvest celebration last Friday. Not only did we send over 40 carrier bags of food to the local food bank we also donated £120 to CAFOD. Thank you all for you fantastic generosity. We raised £289 for MacMillan this year! Well done everyone! It is our annual Holy Cross Bake Off and coffee afternoon on Friday 28th September at 14:00. All are welcome for tea, coffee and lots of cake. All money raise will go to MacMillian for the wonderful work they do. Lots of special events are happening over the next two weeks to prepare us for the Holy Season of Easter. On Friday 23rd at 2:30pm we will be holding Adoration of The Blessed Sacrament that the Prayer and Care Group will lead in the school hall. On Wednesday 28th March we will be thinking about the Stations of the Cross and taking Jesus’ journey with him around our school using the wonderful artwork classes have been creating this week. Everyone is very welcome to journey with us from 2pm. This Lent, our whole school and Parish Community will be completing Acts of Random Kindness to help us to grow closer to our God and Jesus over this important preparation time. 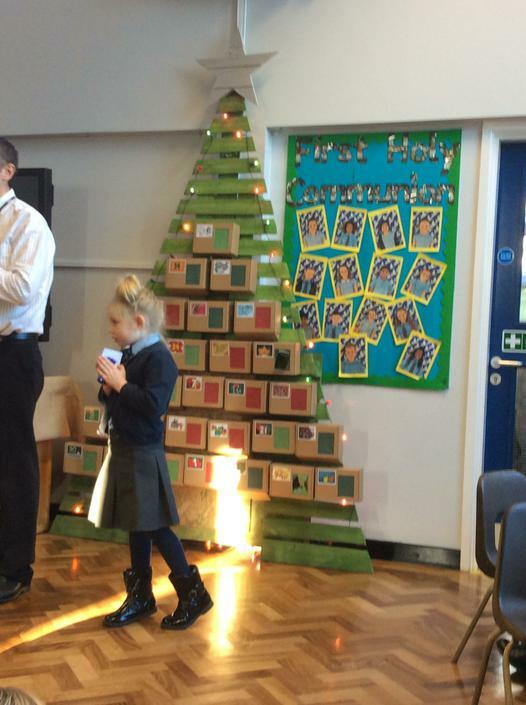 Don’t forget to bring in your ARK and display it on our tree in the entrance. 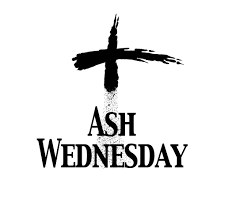 The whole school will be walking to Holy Cross Parish Church on Wednesday 14th February to celebrate the Ash Wednesday Mass at 10am. Please come along and join us - it's a very healthy walk! CAFOD! Want to know where the money goes and how you can make a difference? All are welcome at the CAFOD Volunteer Centre on Brooklyn Road Bulwell on February 11th - 4:30 -6:30 pm. There are many activities happening in our Diocese that you can join in with - There is a Lent Retreat for Women at the beautiful Briars in Derbyshire from Friday 2nd - Sunday 4th March - contact bookings@ndcys.com for further information. 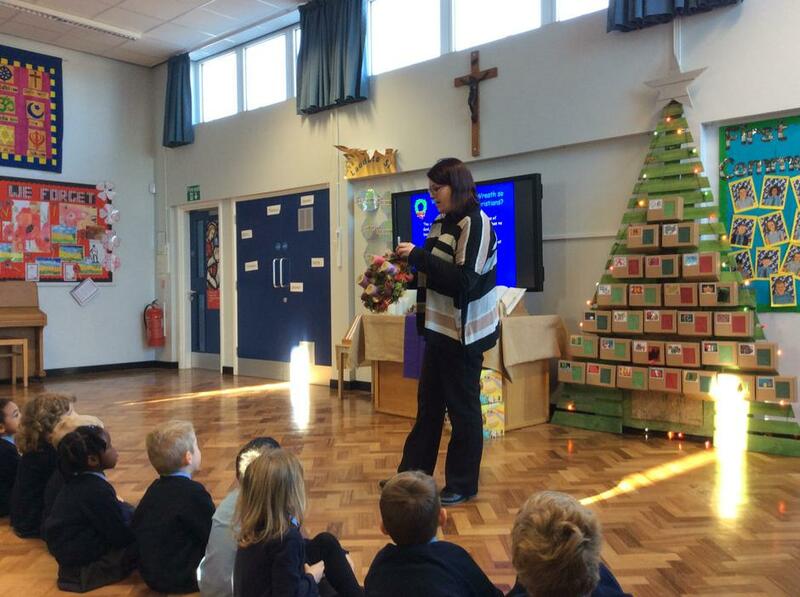 There is also a service of Healing on Saturday 17th February 9:30 - 4:40 - see Miss Hornsby for more information. Like singing at school? Why not join in at the Diocesan Youth Singing Day at the Cathedral on 10th February from 10:30 - 5pm. It is an exciting opportunity for children and young people aged 8 - 18 across our diocese to come together and sing. you will learn new songs that you can teach us all at school! - See Miss Hornsby for more details. 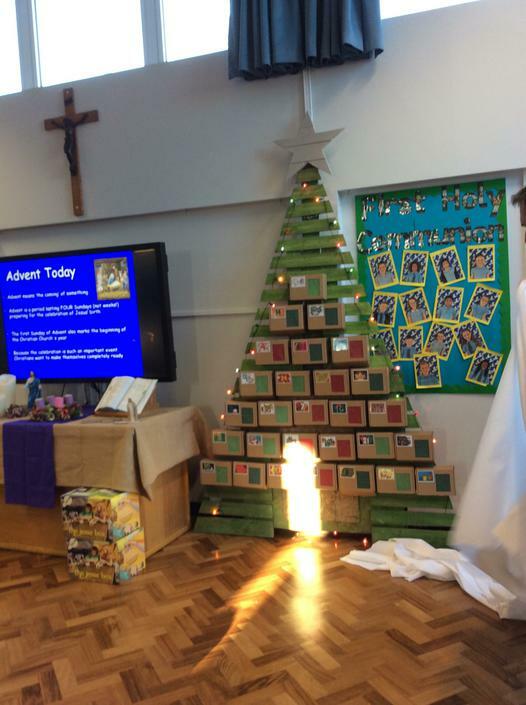 We are having a Candle Mass on Friday 2nd February, 14:30, which will start on our school playground - please come along to celebrate the Feast of he Presentation of the Lord. Please look at our calendar dates to see which classes are leading our Friday afternoon Masses - everyone is welcome to come along! Class 4, 5 and the members of the Prayer and Care Group will be Celebrating Pax Christi Peace Day with the other schools in our Trust at the Good Shepherd Church on Friday 19th January. The whole school will also be doing activities on the day too. We will be having our annual Carols by Candlelight at Holy Cross Church on Friday 22nd December at 10:30 am. It would be wonderful to see you all there - don't worry if you cant come, we will put a highlights video on the VSP player so you can have a sing along to your favourite carols and Christmas songs! 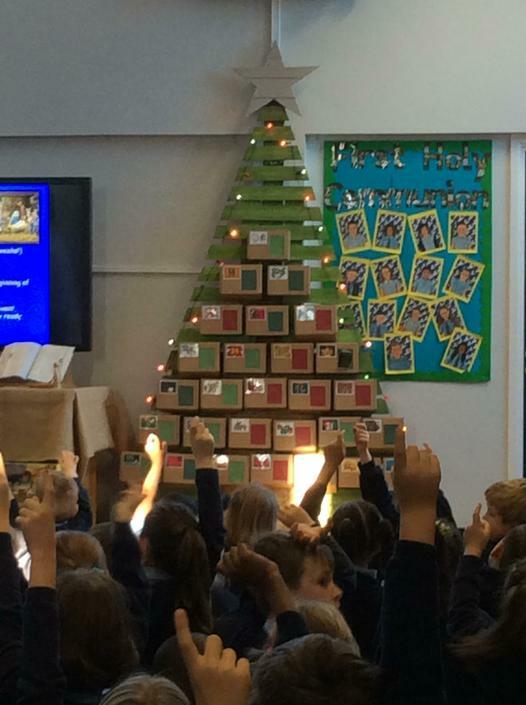 Our school choir will be singing at St Mary's church in Hucknall as part of the Community Christmas Tree festival on Thursday at 10am - come a long, look at the tress created by local groups and charities from Hucknall. 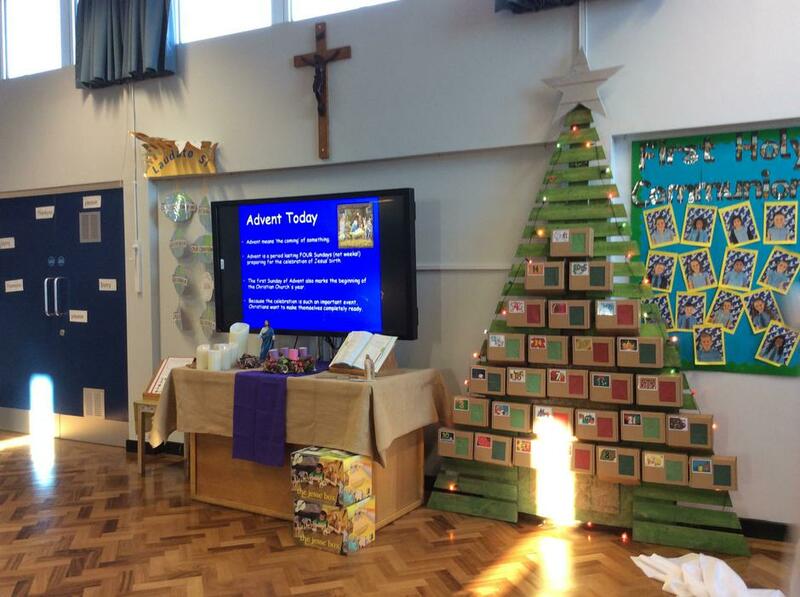 Adoration of the Blessed Sacrament will take place in school at 2:30 on the 24th November. Please come along and Encounter His healing! We will be having a very Special Collective Worship on Friday 10.11.17 afternoon at 2:30pm. We all will be sharing our work that we have completed during our Remembrance Enrichment Day. If you can, please come and join us; if you can't, a video will be uploaded to our VSP player so you can enjoy and reflect on the day with us. Come along and join us in the school hall. to see what we got up to! We had a wonderful Harvest Celebration today with Father John Martin, the priest from Our Lady's in Bulwell, and lots of parents. Thank you for all your generous food donations and monies for CAFOD. They will benefit many in our local and international community. We are definitely living out our Loved and Valued part of our mission. Follow the link for a short video. Head over to the VSP player under Come And See to see what she found. There is also a short video on the VSP player under Collective Worship. Class 5 took part in a great retreat afternoon with Joe. Look at the VSP player - Class 5 - to see how we all can become superheroes! We have been very busy baking this week. Have a look at the VSP player to see our video and delicious cakes! Come and See and Collective Worship tabs. See Great Big God, Prayer and Care Group Collective Worship and lots more. Keep up to date with everything we are learning about in school too under each class tab. We have added a new video to the VSP under Catholic Life. Have a look at all our new reception pupils recieving their special certifcate books from Father Paul. Please watch our whole school video Catholic Life at Holy Cross. We learn about Shrove Tuesday and learnt about why we eat pancakes on this day. Please see the video link below. 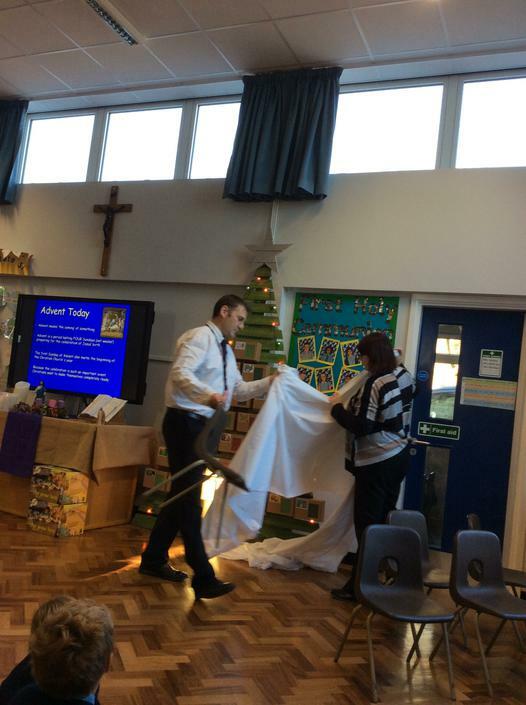 After we went to Holy Cross Church for Ash Wednesday, we role-played what learnt during Mass. Holy Cross Church for Ash Wednesday. 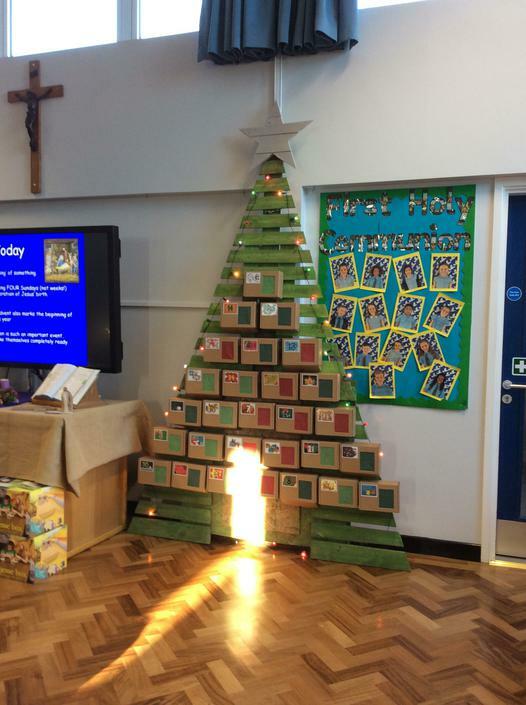 Well done children of Holy Cross! 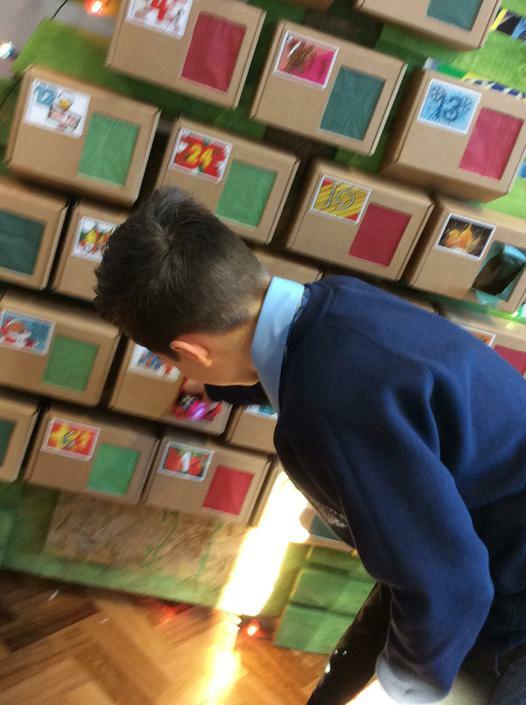 Class Reception would like to thank Class 6 for helping them at Holy Cross Church. 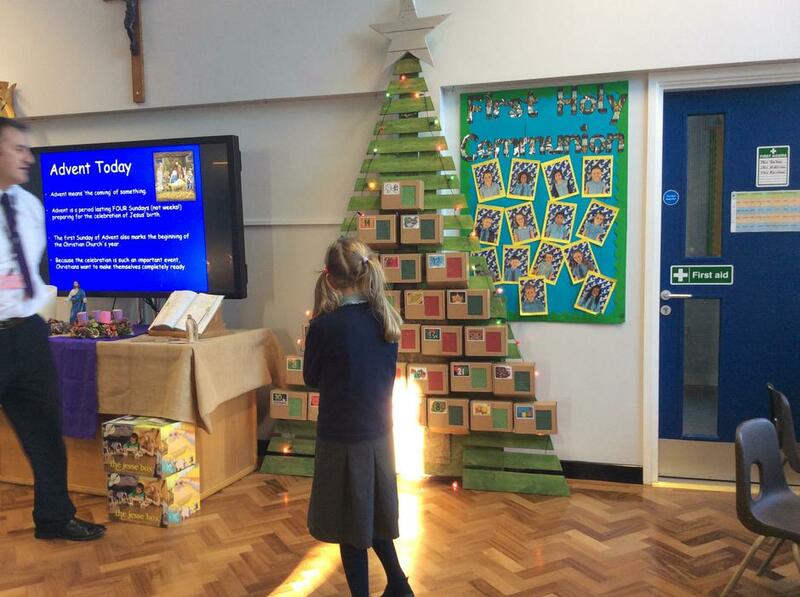 "The children were extremely well-behaved and respectful during their visit. We are very proud of them all. Well done!" Watch the video below to see what we learnt with Joe. 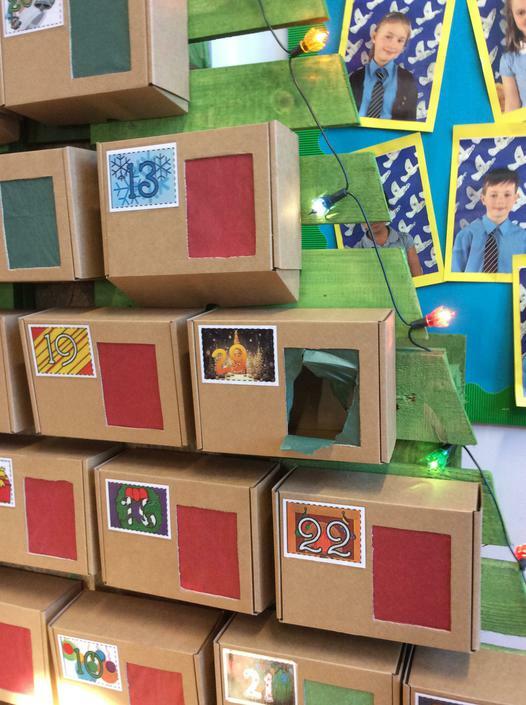 our very own Advent calendar this year. 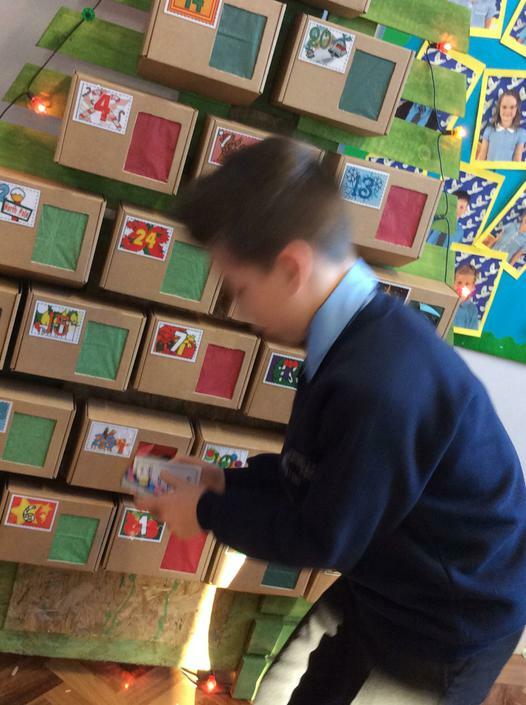 There is a chocolate and a liturgical message in each box, one box will be opened each day. 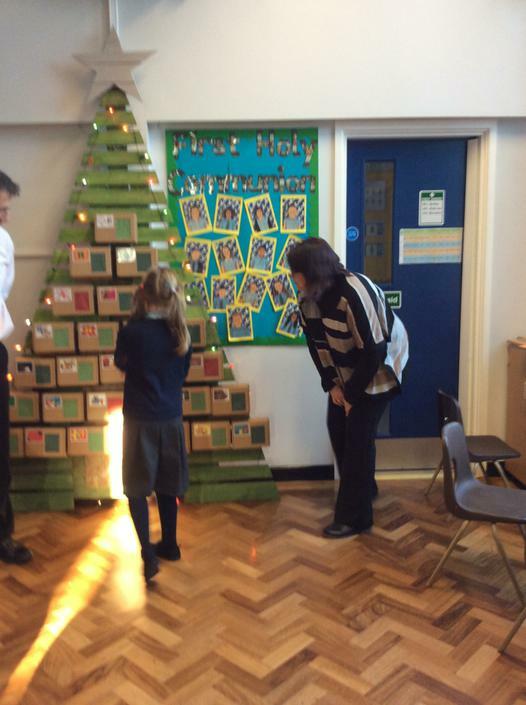 You can see our Advent calendar Christmas tree when you come into our school hall. Some of our favourites from previous years! Be Merciful The Nottingham Diocese's Year of Mercy Website.